Happy Friday, Everyone. I want to share two fun blogs I discovered this week. The first is Creative Party Ideas by Cheryl. Cheryl contacted me earlier this week when she saw my Reindeer Peeps on Pinterest (my new favorite, favorite passion). Her site is full of great projects that you can do with your family. 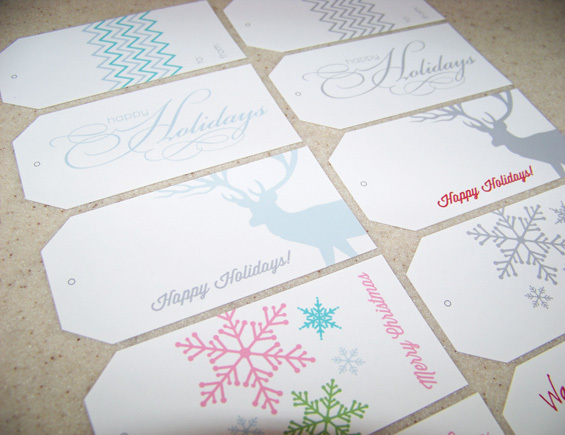 Yesterday, I downloaded these amazing gifts tags that are available on her site by clicking here. The second blog I discovered just this morning. Missy had contacted me a few weeks back to do the party printables for her daughter Hadley's second birthday. Since this was the first party package I had sold on Etsy, I emailed her to see how the party went. She sent me a link to her blog, Little Ladies and Lambs where she writes about her life as a stay at home mom and sheep dairy owner. Hadley's birthday turned out darling. I love the crepe paper backdrop she created and the milk bar with the fringe around the bucket. Her party theme of Make A Wish and Believe was perfect for the season.